Back some time ago I wrote an article exploring the implications of so called “net neutrality.” Today the FCC approved net neutrality rules in a 3-2 vote. My intent here is not to examine the intricacies of what was adopted and what is was not but to give you more of a wider picture of why this is so important for all of us. In our society we have different classes of people, as you know. Most people are middle class (income approx. $30,000 – $500,000 a year), about 99% of you are. One percent of the population is considered “upper class” or as Karl Marx said the bourgeoisie. The upper class is shaking in their boots right about now…Why? Because if all people have the same and fair speed/usage rights on the internet then we all individually have the same playing field as far as expression and the control of it. Over the decades the upper class ruled all media, TV stations, radio stations, etc. They were/are all very expensive to own and you must be elite to do so. It is much easier for one to have independent ventures with the internet and they certainly do not like that. If the elite class had their way, they would control the internet as they have controlled the airwaves over the past 100 years. Anyone can buy a domain name, make a website, make a book or start a band or internet radio show and have a captive audience at their fingertips. The world wants to be organic, and by organic I mean that they have many options from many sources, uninfluenced by the bourgeoisie machine. People prefer this avenue, and the bourgeoisie knows it, this is precisely why they are scared. They have less and less control of the method of all content delivery varying from videos to all types of media. In an increasing automated world knowledge/content is becoming the important asset of America. The more these independent assets grow, the more likely the Wal-Farts and other corporate titans will fall. We will see battles (In the courts). The ruling class does not want internet neutrality; they want control, absolute control. Let’s hope that the congress and other politicians will demand fairness, do your duty and accept only those who support net neutrality. It’s your future. My earlier article: The End of the Internet? Naw. 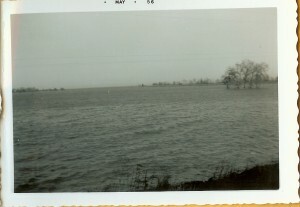 The current Folsom Dam, built in 1955, replaced an earlier, smaller dam that had been completed in 1893 by Horatio Gates Livermore. 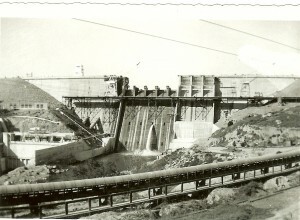 The earlier dam had fed the Folsom Powerhouse, generating electricity that was transmitted to Sacramento over a 22 miles (35 km)-long distribution line, the longest electrical distribution system in the world at the time. The remains of the earlier dam can be seen downstream from the Folsom Lake Crossing. 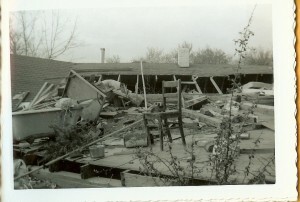 The current dam was originally authorized by Congress in 1944 as a 355,000 acre·ft (438,000 dam) flood control unit. Folsom Dam was reauthorized in 1949 as a 1,000,000 acre·ft (1,200,000 dam) multiple-purpose facility. 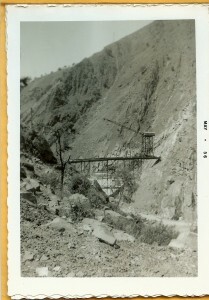 Construction of the dam began in October 1948 and was completed in May 1956. 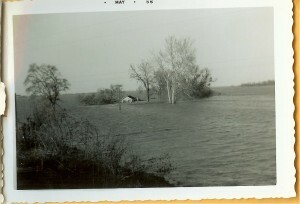 Some old settlements and towns were flooded when the lake was filled, including Mormon Island and Salmon Falls. A friend and I were at an antique store and found these photos. The first is definitely the dam being built. I am pretty sure the rest are of the lake and surrounding areas but they have not been confirmed. Comment on here if you can identify the location. Possible foot bridge in front of dam. 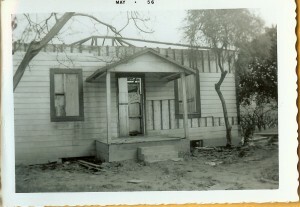 Possible Mormon Island house demolition. Possible Mormon Island house poking out of Folsom lake.